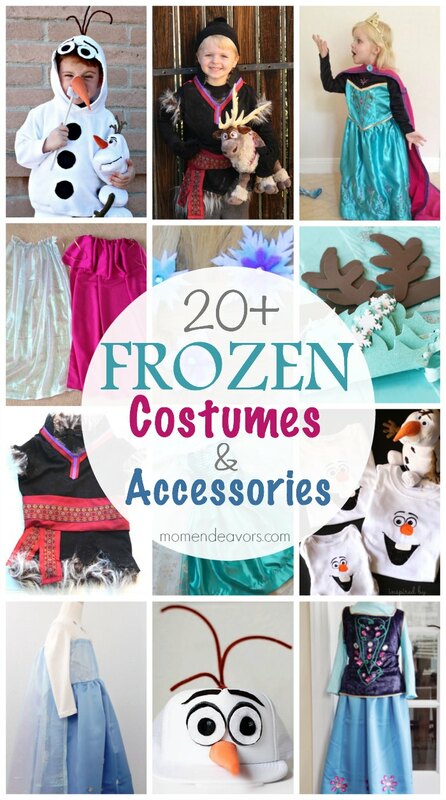 Like I said, the majority of this costume is SO easy– as long as you can use scissors, you can make this! 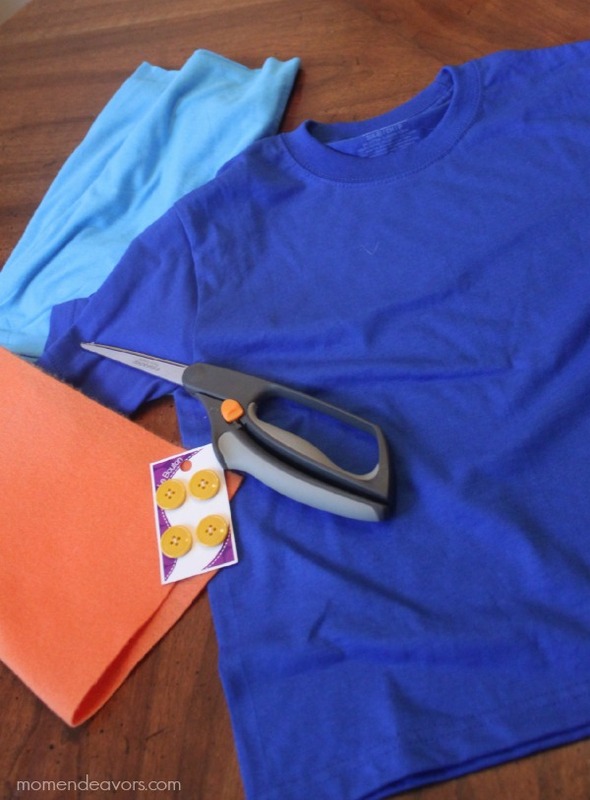 First up, cut a white t-shirt so it’s shorter; cut the sleeves; and cut a notch in the neck line. If you want to make it look even more authentic then, hand stitch the little black zigzags just under the notch. 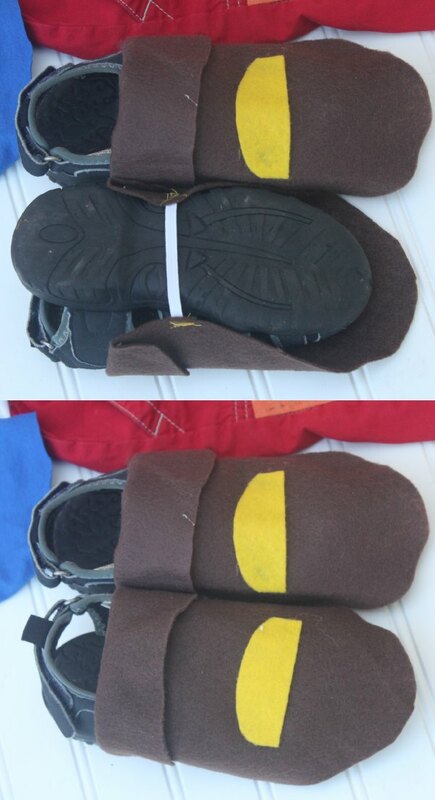 But…if you want to get a little more detailed, you can make simple shoe covers to look like Cubby’s boots. This part was a total after thought, so I didn’t take any process pictures. But, it was SO easy. I just cut brown felt in the general shape of front of a boot. I folded down the bottom edge and glued down a piece of gold felt to look like a buckle. Then, we attached a piece of elastic that would sit in the bottom arch of shoe. Simple and not perfect, but from the front, it really added a lot. The last embellishment was not planned either. Once the costume was all done, Little Brother said, “Mommy, what about Cubby’s map? !” You see, in the show, Cubby gets a special map of Never Land from Peter Pan. So, needless to say, Cubby HAD to have a map. Luckily, I had a long sheet of beige foam in my crafting stash. So, I roughly sketched out a drawing (with markers) from an image of Cubby’s map that I found online. Then, we rolled the map up and tied it with some thin leather “ribbon”. Thankfully, he LOVED it! And, really, he was just so thrilled with the whole costume! I love how it turned out and how easy it was to do. After Halloween, I’m sure this will go in the “imagine bin” and will be a favorite dress-up item! 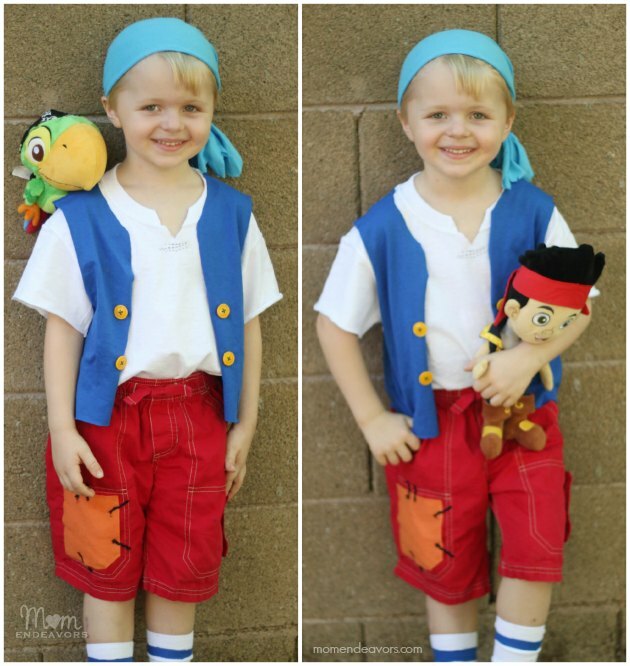 We couldn’t resist some pictures with his favorite Jake stuffed animals! Love it! He makes just the cutest little Cubby! And, he looked adorable next with Baby Brother as Skully! 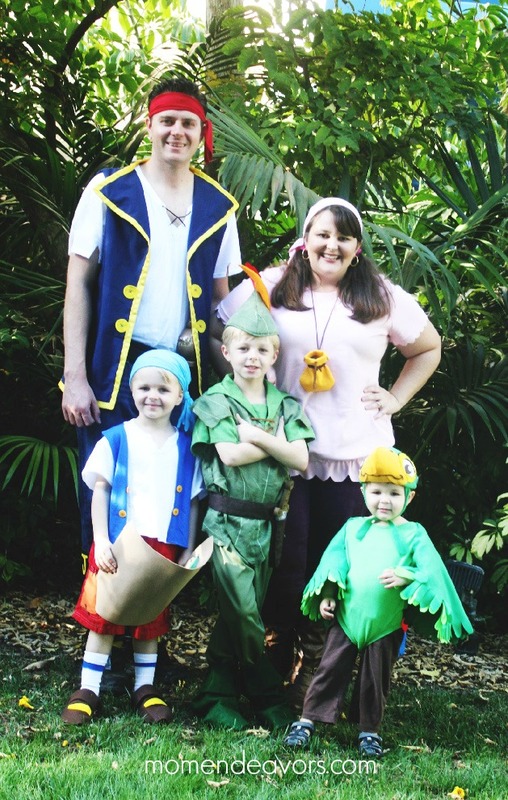 Jake and the Never Land Pirates was such a fun family costume theme – perfect for Halloween Time at Disneyland! 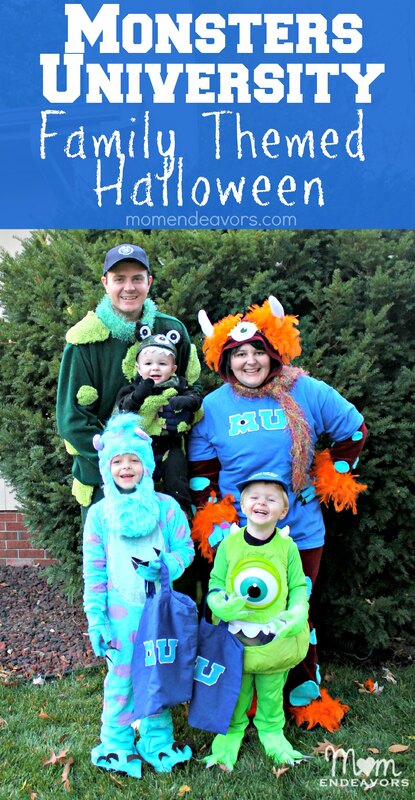 We can’t wait to do it again for Halloween! 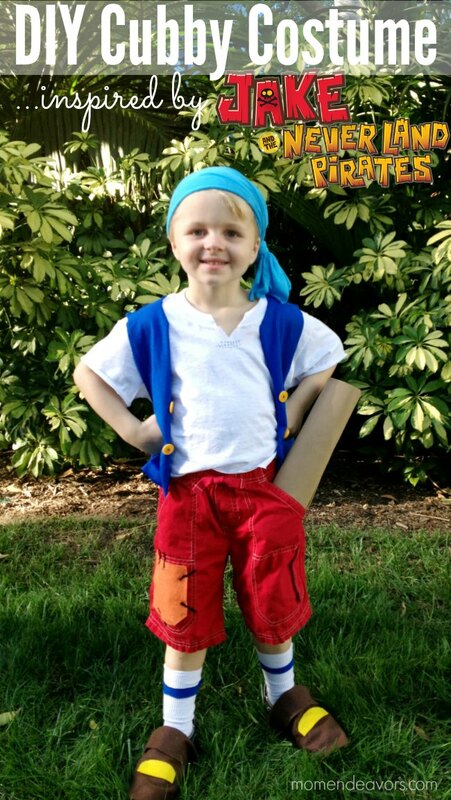 Do you have little Jake and the Never Land Pirates fans? Thanks so much for your detailed instructions. 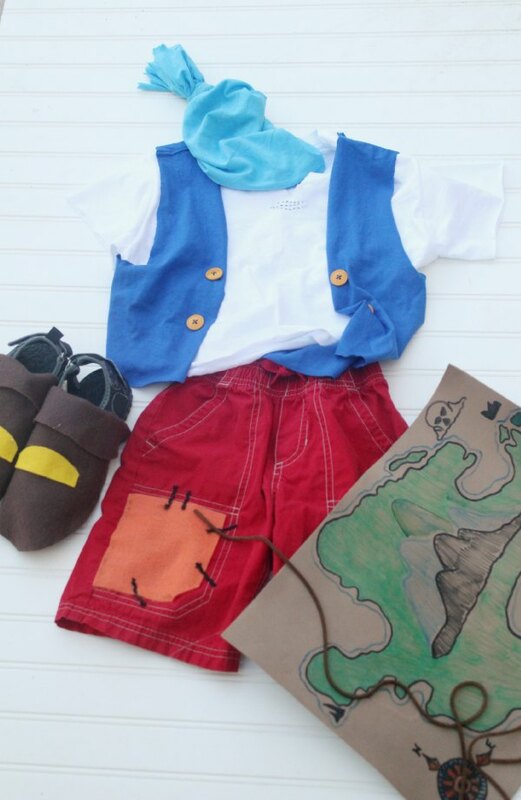 My 5 year old wants to be Jake and he wanted his 2 yr old brother to be Cubby 🙂 I can’t wait to make this costume ! I’m so glad you posted this! You rock! Yay!! That’s awesome! 🙂 Glad it was helpful! Using this for my baby boy! 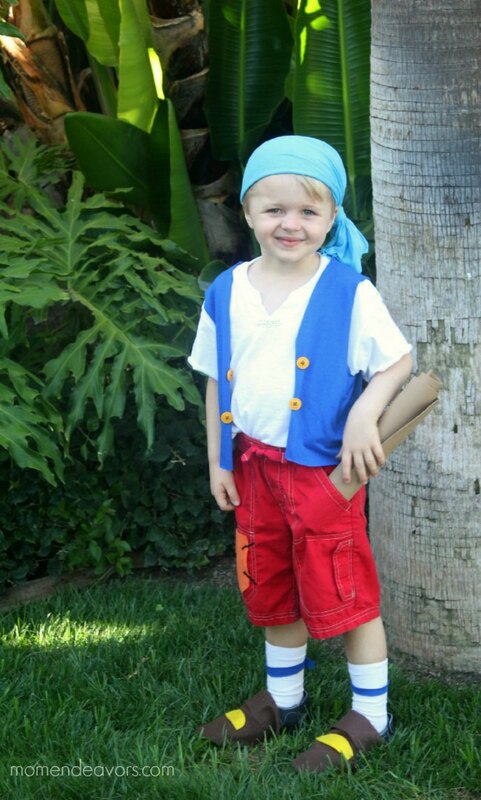 His brother will be Captain Jake and I’ll be Izzy! 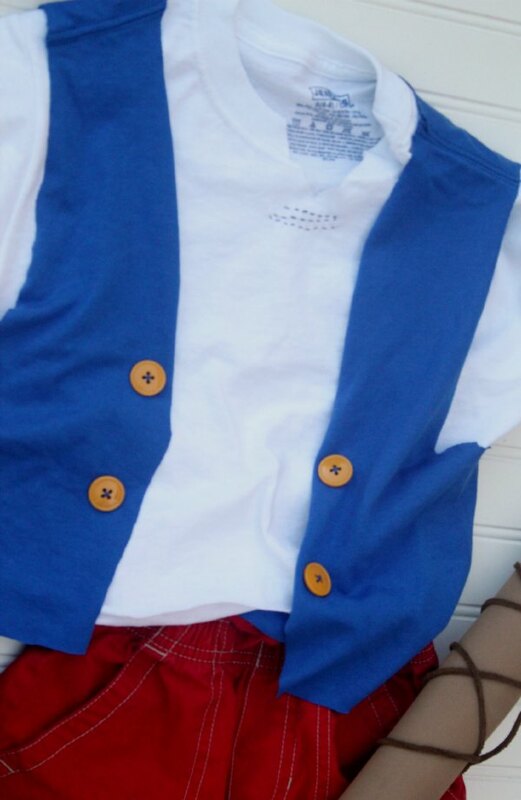 Do you have a post on how you put together your Izzy costume? Sounds straightforward enough. Thank you! !